AUGUSTA OUTDOORS. Story by Rob Pavey. May 2013. The sport of kayaking is growing rapidly around the country. With all the lakes and rivers in our area, it is no wonder that it’s popularity is skyrocketing. 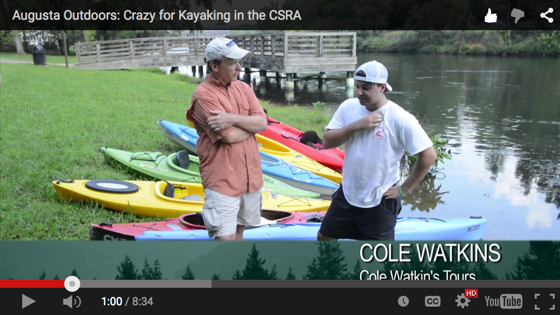 In this segment of Augusta Outdoors, Rob covers three important areas in kayaking – laws, types of kayaks and places to go in the CSRA.